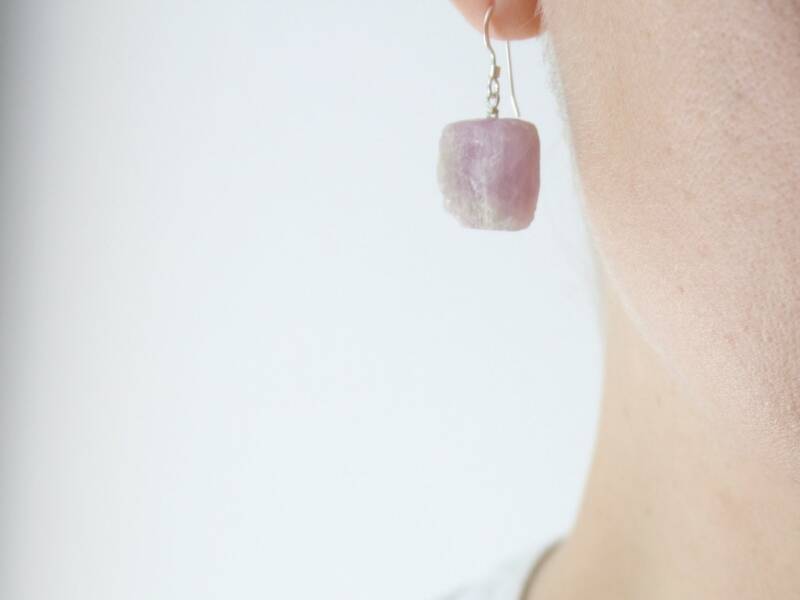 These healing crystal earrings feature natural 10-20mm Pink Kunzite nuggets wire wrapped in Sterling Silver. 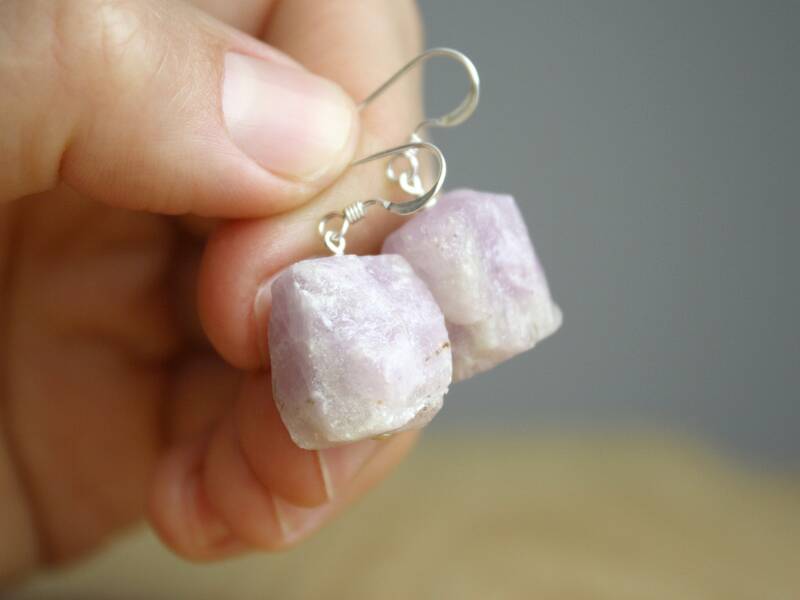 These kunzite earrings measure about 1 1/4 inches from the bottom of the drop to the top of their Sterling Silver french style earwires. 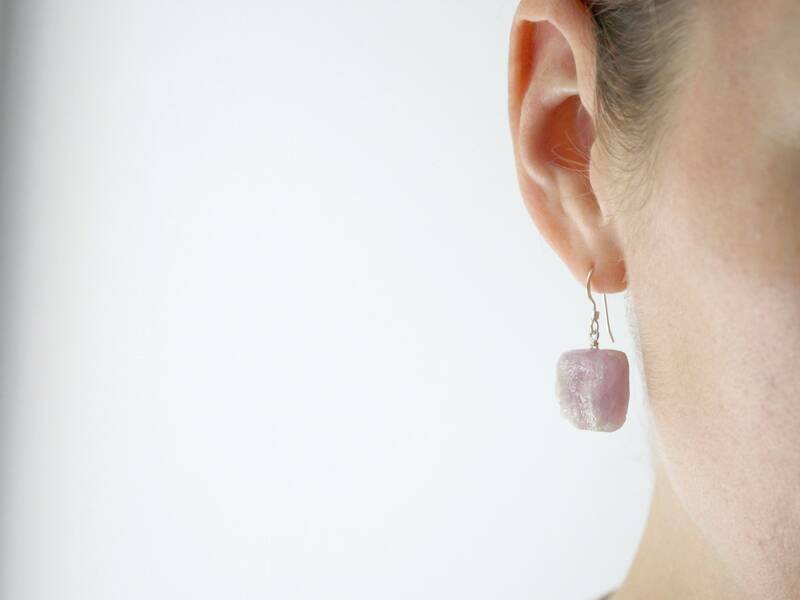 Stone Properties: Kunzite is know as the stone of Emotion. It connects the heart and the mind, creating a healing communion between them. 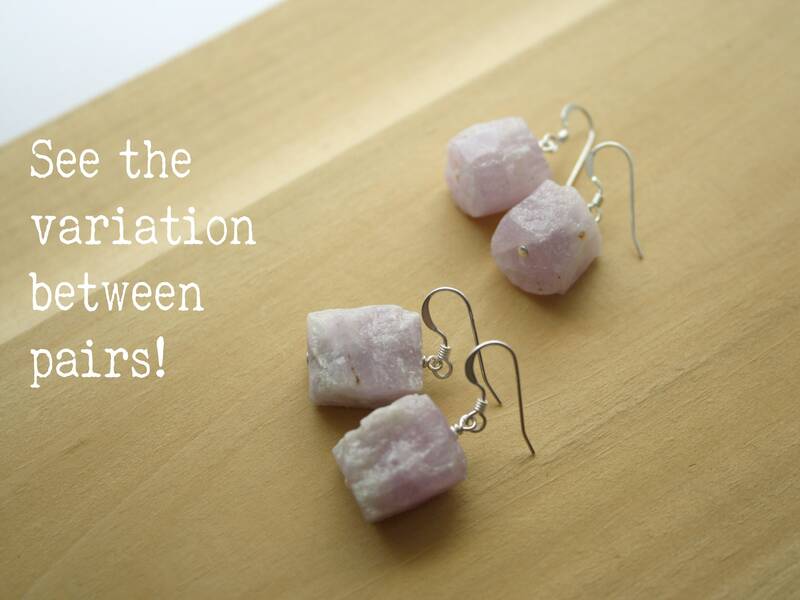 Kunzite encourages the experience of unconditional love in abundance. 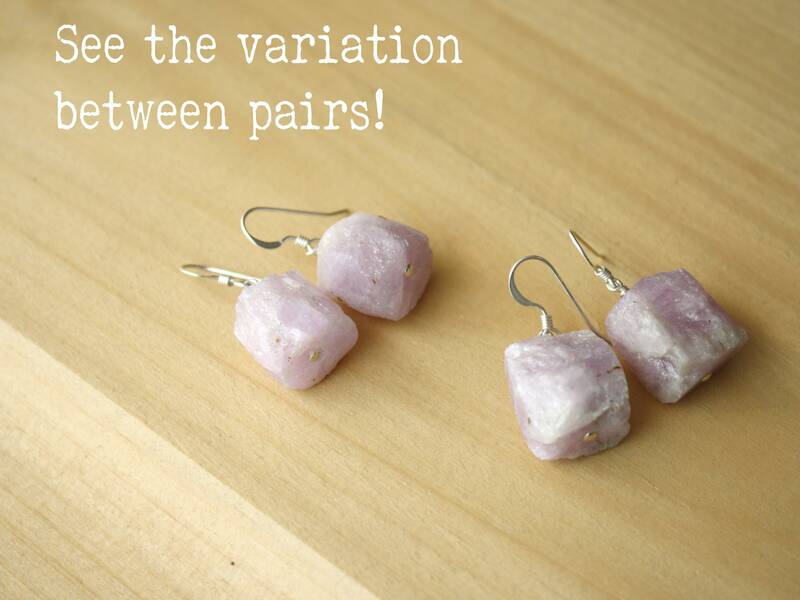 Beautiful soft pink color-great crystal effect, very comfortable-also purchased matching pendant-spectacular set! 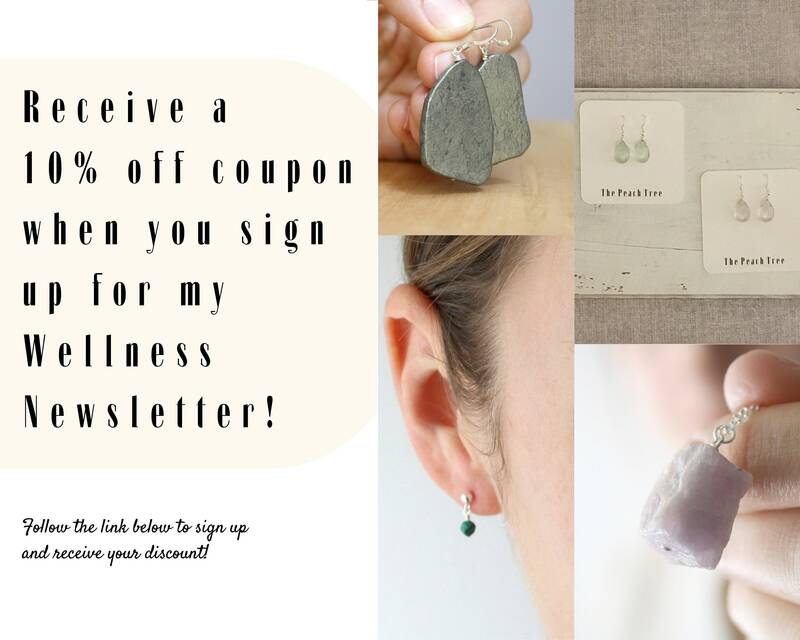 Always nicely packaged, quickly shipped and wonderful customer service. Thank you!